The longest and tallest slide in the world. Yes, our world that stretches an area of 510.1 million km² – and no one has ever put a longer or taller slide on any spot on it than the one we were about to ride. Forgive my retrospective freak-out: I've never been one for rides. I was a queasy mess at Chessington. Big Thunder Mountain at Disney is more my speed. Scratch that: the teacups are more my speed. 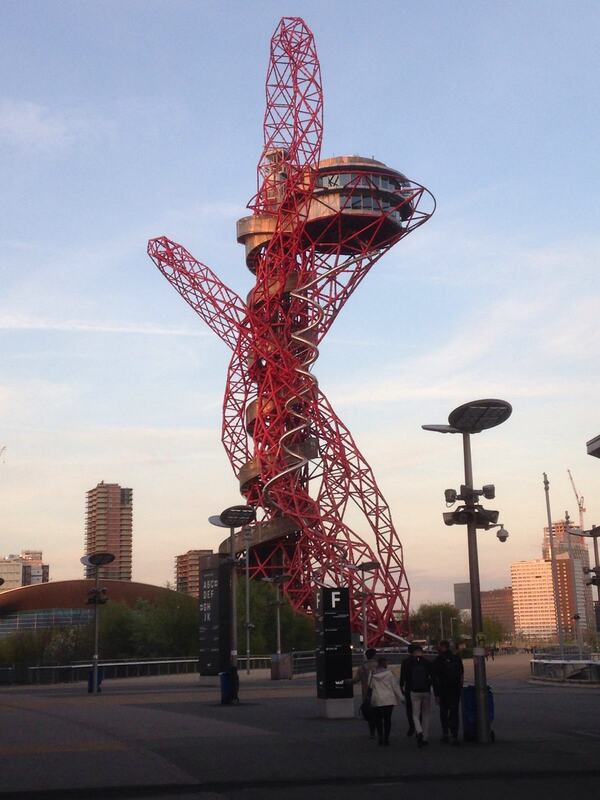 There is nothing, I repeat nothing, reassuring as you approach the ArcelorMittal Orbit. 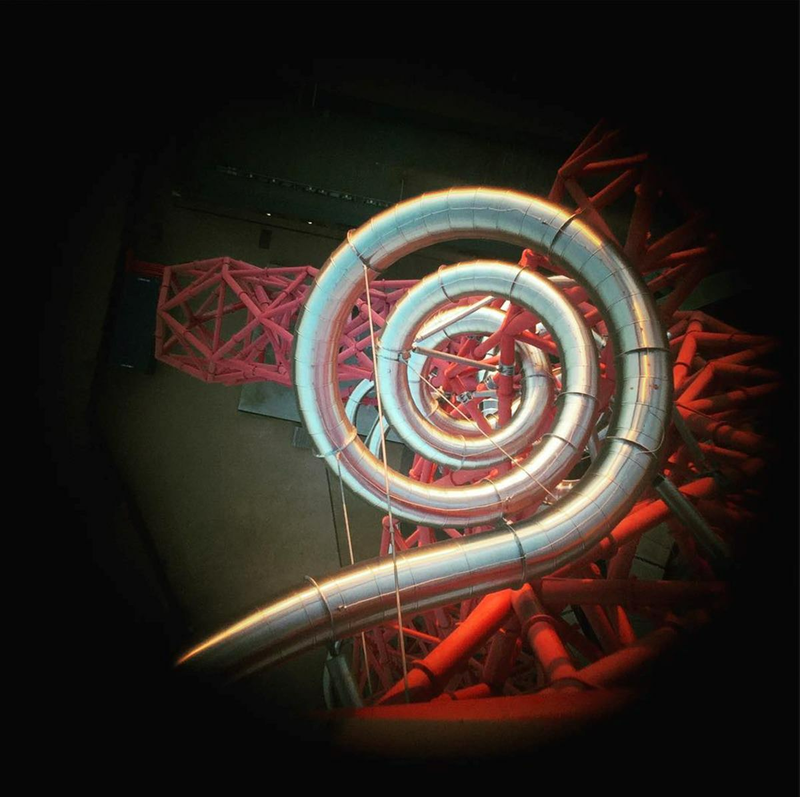 This is no playground slide: it curls around the 376-foot vertical tower structure that's become iconic of East London since the 2012 Olympics. It's a sheer colossus of a monument that is truly awe-inspiring even on a Google image, let alone up close. And the silver slide wraps around the red tower, or rather the red tower wraps around the slide, or rather they both wrap around each other. It's a complex design, you see. The stomach butterflies began all the way from our tour of the impressive London Stadium. (Well, truth be told, they started about a week in advance.) But as we visited the incredible London Stadium football pitch, players' tunnel and even dressing rooms – a once-in-a-lifetime-type thing, I was only focussed on getting down that juggernaut of a slide. The most intimidating part of it all is the drawn-out process at the top of the slide. The marshals lay you flat on your back, and fit you with a helmet and elbow pads, as if you're about to skydive head-first into rolling boulders and a herd of stampeding wildebeest. You're also lying on a mat that forms a sack inside which your feet rest. It's like half a body bag. Does the slide go on to drop you straight into a plot in the ground when the ride's over? So, while everyone waited down below, having braved the curly-wurly like normal human beings, I lay back on that body-bag mat for no less than 10 MINUTES, while the marshals tried to reassure me that even a 90-year-old couple had recently, and nonchalantly, ridden the slide. The marshals, by the way, were incredibly patient and understanding, given that a grown man was holding onto the handles for dear life, muttering such nonsense as "Please don't push me" and "I shouldn't have even come here". Keep in mind, also, that these friendly folks had stayed late as the slide stayed open for us past normal hours. They surely would rather have been at home than been comforting a faint-hearted dweeb*. Even I would have pushed me. At least they ended up with a funny story to tell when they got home. And their support worked: as they finally counted me down (and had to restart about three times), I pushed myself down the infinite barrel. And, as I twisted and turned down, navigating the corkscrews, drops and the Federkern (a section named after the German word for 'box spring'), all I could think to myself was: this is completely fine. It's actually really fun. How will I face the rest of the team at the bottom after pathetically namby-pambying at the top? This is how I faced them: with my head down, like an ashamed dog with its tail between its legs. It seems that, in that 10-minute wait, they'd already been up the lift to secretly check on me, and then come down again. If they'd wanted, they'd probably also had time to have dinner, watch all three Lord of the Rings movies and take a leisurely cruise around the Mediterranean. 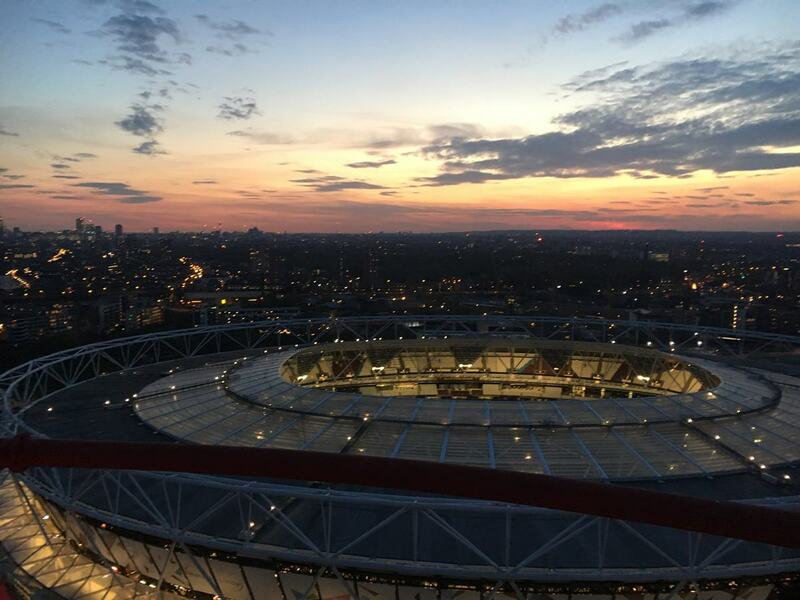 After regaining some shred of dignity – a microscopic trace, more accurately – we returned to the top of the structure for some drinks, delectable bowl food (the tagine** was a highlight), and some unrivalled views of the London Stadium and some of the capital's most stunning landmarks. Shout out to Stuart and the team for the hospitality and support. 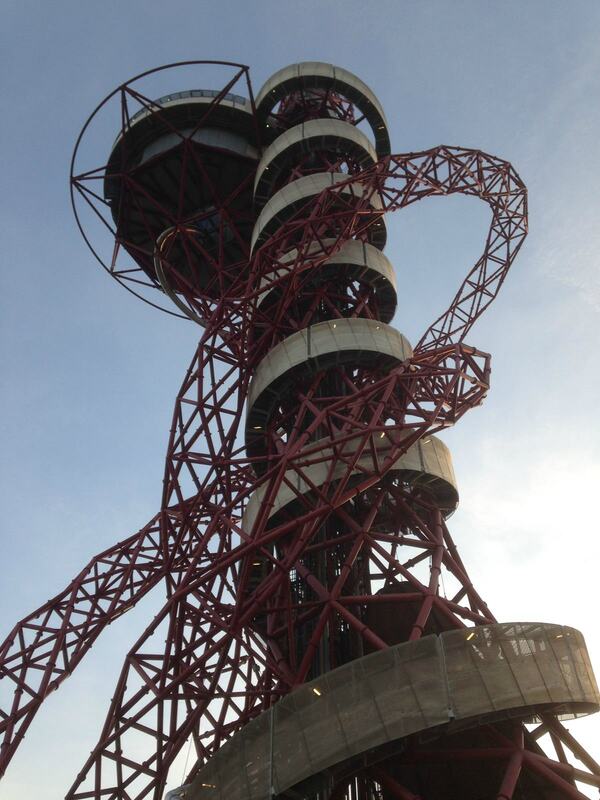 From a self-proclaimed wuss to an ArcelorMittal slide convert, take it from me: go down the slide. And, I'd actually go back and do it again. I need to go back anyway – to pick my dignity up from where I left it, at the top of the slide. *Fun fact: the word 'dweeb' is a portmanteau of 'dwarf' and 'feeble'. An etymological winner at (dweeby) dinner parties. **Tagine is is a North-African stew, best enjoyed with a loved one. 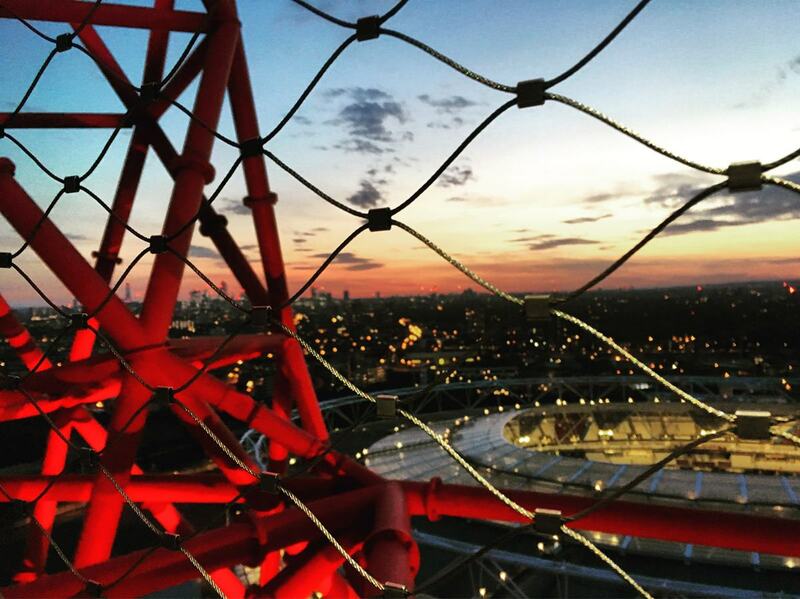 Click here to find out about booking your event at the ArcelorMittal Orbit.